It’s something we all hopefully learned as children and carry with us now into adulthood: washing our hands often and properly. But I’m sorry to say that we’ve probably all witnessed numerous instances of people leaving the restroom, coughing or sneezing, touching their cell phones or any number of other filthy surfaces, and then neglecting to wash their hands. According to a research study from Michigan State University (2013), only 5% of people washed their hands properly after using the toilet with 7% of men and 15% of women not washing their hands at all. This type of behavior is a recipe for disaster, leading to the spread of germs and pathogens. Germs and pathogens are invisible and ubiquitous, living on every imaginable surface. Even though they can’t be seen by the naked eye they have the ability to make us very sick, and can even be deadly. According to Dr. Charles Gerba, a microbiologist with the University of Arizona, a typical cell phone has approximately 25,000 germs per square inch! We spread germs very easily from surface to surface and from hand to mouth, increasing the potential for illness to ourselves and others every step of the way. If these germs contaminate food contact surfaces or the food we eat, the likelihood for a foodborne illness has been created. Common symptoms of foodborne illness include diarrhea, vomiting, nausea, and abdominal cramps. The Centers for Disease Control and Prevention (CDC) estimates that each year roughly 1 in 6 Americans (or 48 million people) gets sick, 128,000 are hospitalized, and 3,000 die of foodborne diseases. Are you following these steps to proper handwashing (CDC)? 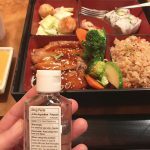 Soap and water may not always be available, so using hand sanitizer is the next best thing. 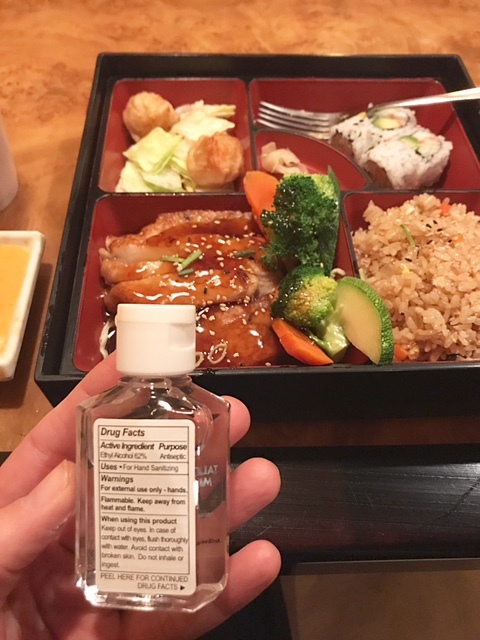 Although hand sanitizers don’t kill all germs, the CDC recommends choosing a sanitizer with at least 60% alcohol to significantly reduce the number of germs and pathogens on your hands.